One of the most significant benefits of eLearning is that it’s versatile. Utilizing an LMS can allow you to not only train employees remotely and offer online quickly and conveniently, but it can also be an ideal support tool for instructor led courses. LMS gives organizations the ability to rapidly access, update, and store content and information all in one place, and offers both students and employees the opportunity to get more out of their educational experience. However, finding the right LMS to support instructor led courses is essential, as it will enable you to effectively manage events and curriculum in order to achieve maximum results. Allows courses to take place in a virtual or physical setting, depending upon which method you are going to utilize to offer learning materials and instruction. Enables instructors to issue credits and/or certificates to users. This key feature not only serves as a method of tracking progress, but motivates the learner to engage in the educational process. Gives you the abilty to configure objectives, prerequisites, and an online syllabus. 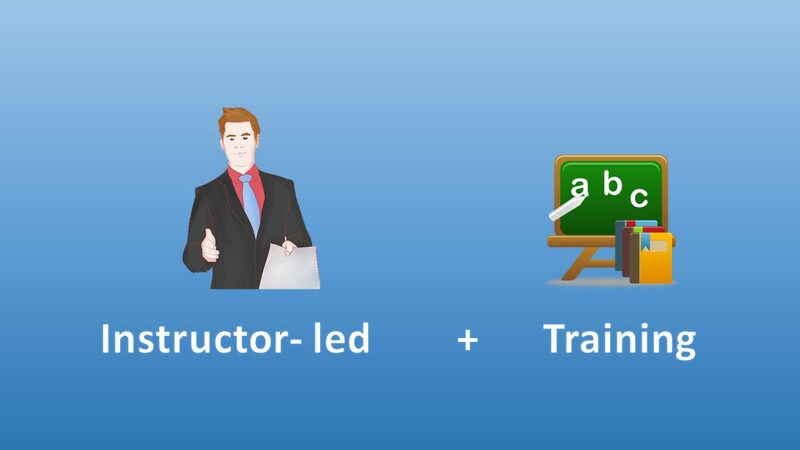 All of these essential aspects of an elearning course provide structure, allowing the lesson to be more effective and organized. Offers support for multiple sessions, as well as repetitive sessions. For example, you can set a lesson to repeat automatically every day or every month. Gives you the ability to create courses or lessons that begin and end on certain dates. For instance, if you wanted to have a course run for a six week time period, then you could direcly configure this within the LMS. Detects conflicting events. This will enable you to avoid scheduling two instructor led courses being held in the same room at the same time, or to prevent one instructor being booked for multiple simultaneous sessions. Gives learners the opportunity to bookmark events on an online calendar. This is one of the most effective LMS features if you are trying to boost attendance rates, as it will remind the student about the upcoming session. Manages venues, wait lists, and maximum occupancy for each course/venue. This will help to prevent overcrowding and will enable students to be placed on a waiting list so that they can attend the course at a later date, if they so choose, or fill a vacancy. Another helpful feature is one that notifies the student if a seat is available automatically. This will ensure that you are more likely to reach your overall attendance goals. Offers easy management of student enrollment. This may also consist of instructor pre-approval before a learner is enrolled or restricted enrollment. For instance, if you only wanted a specific group of inviduals within an organization to enroll in a course, such as the HR department, you could set those perameters within the LMS. Provides a calendar overview of sessions, courses, and lessons. An LMS that features clickable links within the calendar, which expand to give more details about the event, is also highly beneficial. Features the ability to attach lesson materials or study guides to the courses within the LMS. A student would simply need to log in to the course in order to access learning materials and resources. Rather than having to search through the system, everything would be centrally located, making it easy for learners to obtain the information they needed to complete the lesson. Offers instructors the ability to access teaching materials that they will need to effectively teach courses. This may include reference material, guides, or lesson plans. Has some form of attendance tracking system. This may be in the form of a short quiz that learners must take in order to receive credit for the course or a sign-in sheet that learners must virtually sign. For added convenience, you may want to opt for an LMS that enables you to tack attendance on a mobile phone or tablet. Provides content creators and instructional designers with the ability to brand the LMS courses. This will not only make your instructor led online courses more visually cohesive, but will help them stand apart from other content found within the sysem. Allows for easy evaulation of user’s progress and abilities. Tests, exams, and quizzes are all perfect examples of core LMS components that can help to maximize the effectiveness of instructor led courses. Generally, these assessments can be graded by the instructor, which allows them to truly gauge the learner’s performance. Has a clear communication system in place. For example, the system might email students when an instructor needs to reschedule the class or reminders for an upcoming session. There could also be notifications for a change in the school’s policy or progress reports, which are sent to the student via the LMS messaging system or by email. Enables content creators or instructors to quickly and conveniently change lesson plans. This also applies to course guidelines, policies, and learner requirements. For instance, this feature would allow a teacher to easily log in to the LMS and modify the lesson for the day or change the prerequisites for particular courses. Keep in mind that some of these LMS features may not pertain to your specific learning management system needs. As such, you should pick-and-choose which key features are necessary beforehand, in order to make the LMS selection process simple and straightforward. This will help you to choose the most cost effective learning management system for your organization, without sacrificing functionality. The post Essential LMS features to support Instructor Led Courses appeared first on eFront Blog.